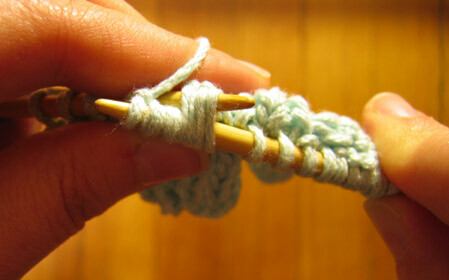 When you reach the cable stitches, move the yarn to the front. 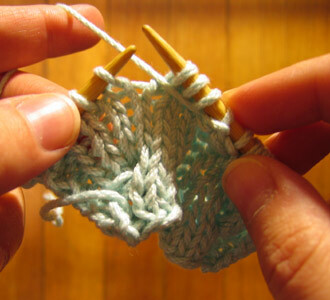 With yarn in front, slip the first three stitches purlwise onto the right-hand needle. Move the yarn across the three slipped stitches to the back. 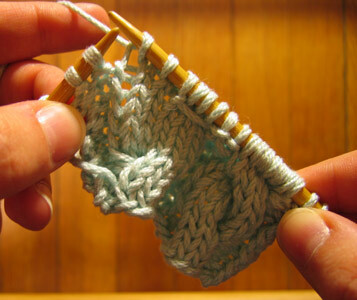 Bring the left needle to the back of the fabric, aiming at the three slipped stitches. 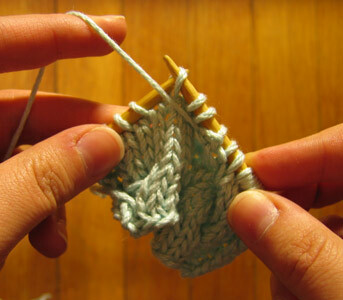 From the back, pick up the three slipped stitches onto the left needle. 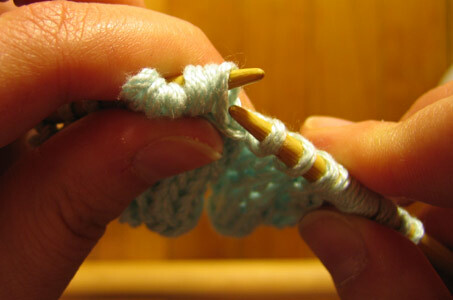 Get ready for cable acrobatics by pinching the base of the cable stitches with your left thumb and forefinger. 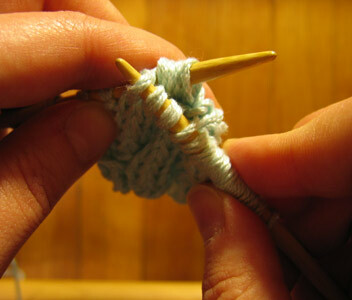 Start to move the right needle out of the stitches. 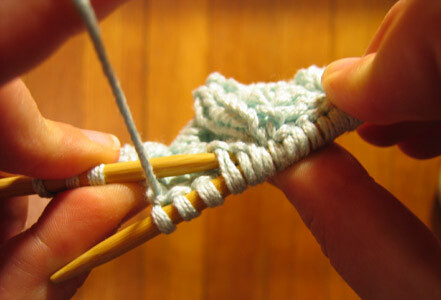 Pull the right needle out of the six cable stitches: the three slipped ones will remain on the left needle, and the three already-knit ones will be hanging in midair in the front. 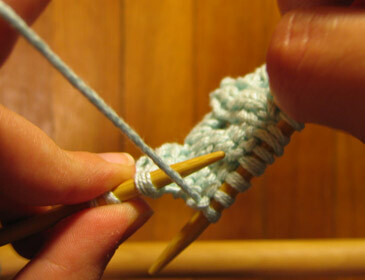 From the front, pick up the three stitches hanging in midair with your right needle. 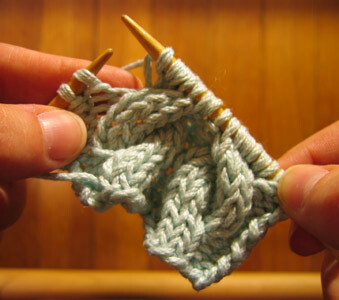 These three stitches have already been knit. 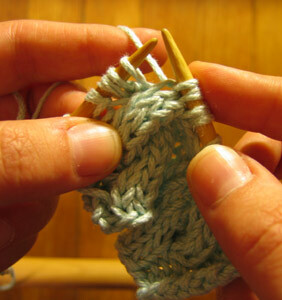 Straighten out your knitting. 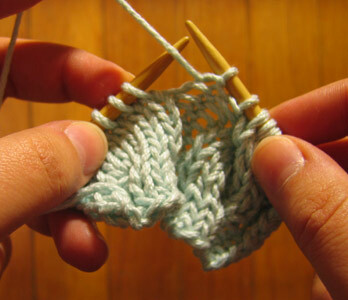 The three knit stitches are on the right needle, and the three previously-slipped stitches are on the left. 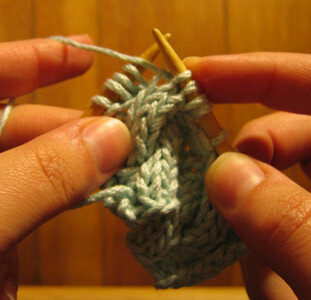 Move the yarn to the back, and knit three stitches on the left needle (previously-slipped).